We enjoyed attending the South Asian Block Printing and Textile Design course at The Prince’s School of Traditional Arts, supported by the Bagri Foundation, from 1 – 5 August, 10:30am – 5:30pm. Artist and educator Tasleema Alam led the course which focused upon the block printing and textile heritage in Bangladesh, particularly the Dhaka region as well as widening across South Asia, addressing Rajasthan and beyond. 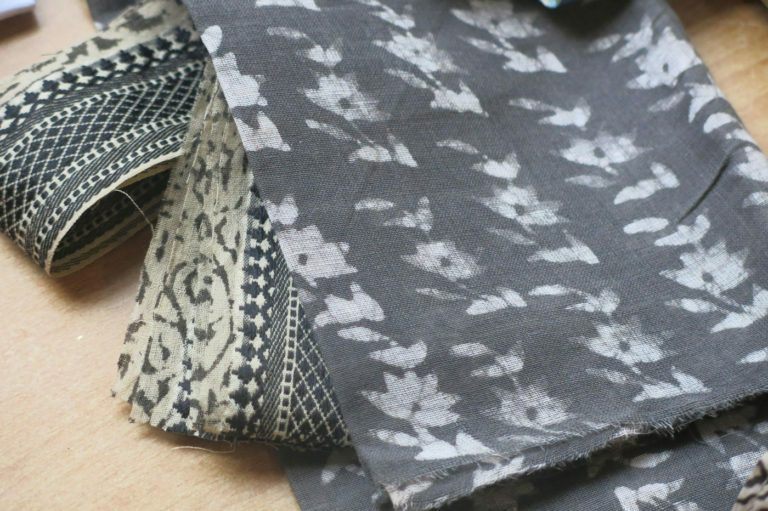 the traditional process of hand block printing on textiles, with rich natural colours, has been known for many centuries. In block printing, traditionally each colour of the print requires a separate block. Each colour pattern is stamped individually onto the fabric; the process takes skill and time, as the pattern must be stamped repeatedly across the fabric, colour by colour. The slight human irregularities — inevitable in handwork — create the artistic effect emblematic of block prints. The final outcome of this intricate labor is a timeless beauty, and every garment made from this fabric is unique. The students drew their own designs inspired by Mughal motifs, learnt how to ground up dyes such as indigo and carve their creations into their own wooden block and print onto textiles. At the end of the course, students had their own beautiful block printed designs on cushions and tote bags to keep.